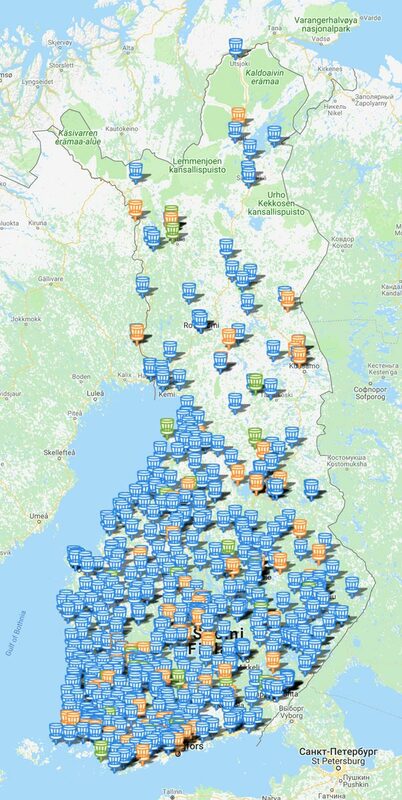 Did you know that there are more disc golf courses than golf courses in Finland? Dozens of disc golf courses are established in Finland every year. The sport grows rapidly in cities and municipalities, which are willing to offer new forms of sports to their residents. Also private companies also acquire disc golf courses, which they use to offer better services to their customers. These operators include for instance sports institutions, ski resorts, spas and camping areas. Some cities have noticed the enthusiasm towards disc golf and have established several courses to answer their residents’ needs. For example: the city of Imatra (population 28000) established two courses to serve players of different skill levels. Disc golf is a truly a sport of whole Finland. One significant reason for the rapid growth of disc golf is the fact that it is inexpensive. You can begin playing it with just a couple of discs. The game can be played on over 600 courses from the southernmost tip Hanko to the northernmost Lapland. Most of the courses are free for everyone to play and they are located in public parks and sporting areas.